Fiat S.p.A. and Chrysler Group's Jeep unit will eventually produce 500,000 vehicles a year with Russian partner OAO Sollers, said Vadim Shvetsov, CEO of Sollers. 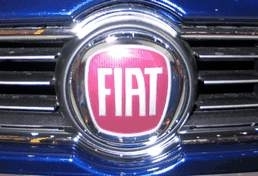 A joint venture by Fiat and Sollers will make 300,000 vehicles a year in the first stage of production, later increasing that to half a million, Shvetsov told reporters on Monday. The venture will also make transmissions and engines in Russia. Fiat CEO Sergio Marchionne's five-year plan calls for Fiat to win a 7 percent share of a Russian market projected at 3.1 million units in 2014. The Russia joint venture will build a Fiat compact hatchback and sedan, a subcompact, and a large sedan as well as the Jeep Grand Cherokee and Wrangler and Compass/Patriot and Cherokee replacements. The expansion of the Jeep brand in Russia is part of Chrysler' plan to double Jeep global sales from 400,000 units planned this year to over 800,000 units in 2014. The Fiat-Sollers venture could become Russia's second largest automaker after AvtoVAZ.